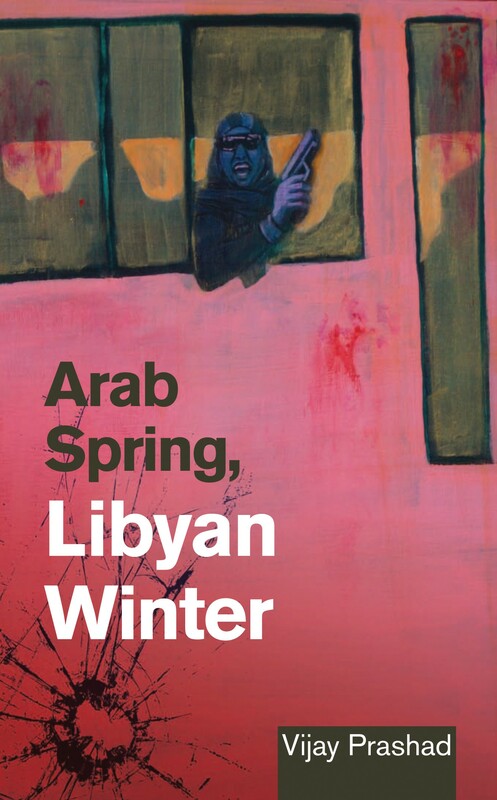 Vijay Prashad‘s new book, Arab Spring, Libyan Winter (AK Press, 2012) captures the complexity of the Arab revolts – by bringing out the history and historical forces behind them. The book exposes the West’s imperial anxieties and their fear of the organic – the mass character of these uprisings. It demonstrates the resoluteness of the “rebels from below”, that they will not allow the Arab lands to “be the same again”, that they are dissatisfied with the Present and they want something more than the “21st century delusions” that neoliberalism delivers. Most importantly, Prashad’s book reconfirms that “the rebellion from below has its own radical imagination.” The following discussion with the author is an attempt to read the book with him to understand the implications of his analysis of the Arab revolts. Pratyush Chandra (PC): Even the title of the book suggests you are not comfortable with the euphoric homogenisation of the recent upsurges in the Arab world. In fact, it seems you consider this discursive seasoning/colouring of Arab struggles to be highly ideological, not allowing us to comprehend the struggles in terms of their “deeper roots and grievances”. Do you think this impression about your book is valid? However, as the spatio-temporal interconnections are quite evident and cannot be denied, how do you assess the contextual commonality of these upsurges, and what are the limits of using this commonality as the only key to understand them? Vijay Prashad (VP): The Arab Spring, or Arab Revolt, or whatever History shall call it, is party to a long-wave of struggle which we can call the General Strike of the Global South. It begins around the late 1980s, perhaps with the Caracazo, the uprising in Caracas, Venezuela, in 1989. Immense pressure on the lifeworld of the ordinary people in the South intensified with the debt crisis of the 1980s. The mandarins of the Global North used the debt crisis as a lever to extract massive concessions from the states of the South, mostly under the name of Structural Adjustment Programs. These included a roll-back in State intervention for social welfare, a selling off at bargain prices of the essential sectors of the economy and the welcoming of private, mostly foreign, capital into all aspects of social life that had not before been governed by the laws of capitalism (such as water delivery, electricity delivery and food delivery, notably bread delivery). This assault on the life of the ordinary people sharply increased deprivation in the South. But the totality of the society was not damaged by deprivation. Small but considerable sections were able to make quite a lot of money as sub-contractors in this phase of neo-liberalism –- they were able to collect a greater share of the rent or were able to operate as the local face of transnational firms. In many of the countries of the South, these sub-contractors were the relatives of the political class (such as Gamal Mubarak, son of Egyptian president Hosni Mubarak) or else they were special elites who had very close ties to the political class (for kin reasons or through extensive bribery or patron-client relations, the latter a familiar story in India). This links the risings in Tunisia and Egypt not just to an Arab context, or an African context, but to one of Global South. About the discomfort with the homogeneity, this is of course true. The “Spring” does not come evenly. In some places, there was a deep freeze, such as in the Arabian Peninsula. No such opening was to be considered. Neither Yemen nor Bahrain, nor indeed Saudi Arabia, could be permitted to have a democratic opening. In Yemen, it was a “managed transition”, so that Salehism could continue under the tutelage of Hadi, who was the sole candidate in an election (Saleh’s family and regime remain in power, with open door to the US to operate its drones to kill at will in Yemen). In Bahrain, all eyes remained averted as the Saudis and then the Bahrainis smashed the demonstrations. There was no Spring here. There was no Spring as well in Libya, which had a genuine uprising against a deeply unpopular leader (an unpopularity that Qaddafi earned; his coup in 1969 was very popular, with his policies from the mid-1980s sharply alienating him from his people). How did NATO become a force in the Arab world? This is one of themes in the second half of my book. How did NATO become Arab? PC: Many left commentators have asserted the democratic revolutionary character of the Arab spring. However, classically a democratic revolution has come to mean (at least in the 20th century) radical social transformations at various levels. It was never merely related to the formation of representational democratic institutions or the recognition of a few formal rights, unless they become vehicles for larger changes in the political economy. What is your assessment of the development in the Arab world in this regard? Do you find the analogies of 1848, 1905, 1968 and 1989 of any use in describing the events today? VP: The task of a revolutionary regime is not clear-cut. The Arab states of Tunisia, Egypt, Libya, Syria, and others, had and have been governed by a form of state-craft that combines neo-liberal policies and national security regimes. The jail and the private sector are hand-in-glove to dispossess and encage the ordinary people. To cut back on such a complex apparatus that reproduces deprivation and indignity is not easy. We cannot underestimate the power of dignity in these revolts. It was dignity as much as bread that pushed people to take such enormous risks (even in Egypt between a thousand and two thousand people gave their lives for the revolution). The first phase of this uprising was to set aside the culture of fear created by the national security regimes. That has been done. The task that has now come before the people is to reject the authoritarian structures and create new constitutional processes that allow their voices to be central to the formation of national policy. In this phase, the question of economic and social policy will assert itself. The workers of Mahallah, the Independent Union of General Tax Authority Workers: they played central roles in the Tahrir dynamic. Indeed, in May 2012 the Tax workers (the largest union of state government employees) were on strike for better wages, better working conditions and so on. Their demands have not evaporated before the important question of elections and more representative parliamentary institutions. Much the same in Libya, where the workers and unemployed youth have occupied the front gate of the Arabian Gulf Oil Company. They have refused to budge. The revolts you mention – 1848 to 1989 – are explosive in their impact, but their great impact also took time to germinate. I end my book with a brief assessment of these…how 1968 might not look like it amounted to much, but on the other hand it delegitimised sexism and racism, and a kind of aristocratic idea of culture. No straight lines for revolts; everything is tangled. PC: As is clear from your analyses the heterogeneity of class and political interests mark the Arab resistances. Taking into account this heterogeneity, the political forces that will emerge victorious will finally depend on the class(es) that hegemonise the movement. Apparently, the political alternatives that are emerging from various resistances right now do not seem to be revolutionary. In fact, most of them are residues of the old regimes. So in what sense, can we take these resistances to be a ‘stage’ in the revolutionary process? Where do we place the working class in the overall resistance? VP: In each of the North African cases (Tunisia, Egypt, Libya), the working class will play an important role in the near future. If the military does not suffocate the short-term (a genuine concern for Egypt), it is clear that thanks to funds from the Saudis and the Qataris, and a nod and a wink from the US, the various formations of political Islam will probably have an upper hand for now. In Egypt and Tunisia, they have worked hard to build up their organisational capacity (in some ways they were also tolerated. In the 2005 elections in Egypt, the regime most likely allowed them to win to terrify the West into backing off from calls for democracy and so on.). But the forces of political Islam have no agenda for the social and economic demands of the people. They will govern, and if pushed by a vitalised working-class movement, they will fail. When they fail, if the working-class is not organised and vital, it is likely that there is a threat of restoration. That is why the historical task of the Arab revolt now is for the working class organisations and its allies to be prepared for when the moment comes. That is why the concerted strikes and struggles that have been going on are so important: they build the will of the working class not only for the present, which are often struggles over reforms and survival, but for the next great battle, which is for the working-class to become hegemonic over society in tandem with the failure of political Islam to make its mark. Political Islam is fated to fail. It has so little to offer the people. It played an important role in these struggles, with many of its disciplined cadre willing to die, to stand against the neoliberal security state. But that role is going to diminish as it begins to govern, like Hezbollah in Lebanon, as a populist force committed to neo-liberal policies. PC: The ideological and cultural formation of the earlier ‘social-democratic’ upsurges – whether Baathist or Nasserite – was very clearly secular Pan-Arabism. Are the current movements in West Asia different on that score? Do they even have a cohesive ideological and cultural formation, if not as a totality, then at least in individual terms? Could you please elaborate upon the cultural and ideological formation of the current upsurges in terms of their social content and the materiality of their history/histories? VP: Well, the Muslim Brotherhood and other forces of political Islam certainly have a cohesive ideological orientation. There are also the liberal platforms, such as the Egyptian Hizb El-Ghad or Tomorrow Party, which are committed to parliamentary or representative democracy and have a modest program on the economy. They are social democratic and secular in their orientation. In Libya, there is less of a basis for such a platform, which is why it is governed by the neo-liberal Diasporics who are beholden to the West rather than to a mass political constituency on the ground; they win their elections in Washington and Paris, not in Tripoli and Misrata. In Egypt, the constituency for this kind of secular social democracy is the middle class, which is substantial and was smothered by neo-liberalism’s characteristic nepotism. The working-class in Tunisia, Egypt and even in Libya, has a focused class dynamic. It is most highly developed in Egypt and Tunisia, where working-class organisations operated despite the authoritarian state, and these organisations have moved from defensive agendas to making much more substantial demands on the transforming states. It is in this process of demand escalation and general organisation of the working-class (and perhaps the peasantry in Egypt) that a clearer alignment will emerge. By the way, in Egypt, the nostalgia for secular Nasserism is not passe. There is an undercurrent that holds that standard aloft. In Tahrir Square, posters with Nasser’s picture could be seen here and there. But nostalgic Nasserism is not what North Africa needs. New ideological coordinates are needed that build a new set of policies to counter both neo-liberalism and the habits of the security state apparatus. Nasserism was a sufficient bulwark against neo-colonialism; it is not going to be enough to tackle neo-liberalism and authoritarianism. PC: Who knows better than you that some of the states/regimes that have been under attack recently emerged as part of the larger progressive and democratic “third world project”. In fact, the term democratic revolution was often used to characterise their emergence, because they triggered significant political-economic changes (even if with a statist tenor) centred on the post-colonial national interests –- at least in the form of land reforms, the “democracies of bread”, and the constitution and empowerment of the national bourgeoisie. What is it that has happened in due course that we are once again witnessing another series of democratic revolutions, if we may legitimately call them so? VP: It is my view that the left-leaning movements of the past century -– the socialists, the communists, the Third World nationalists -– all failed to recognise the fundamental aspiration of the people to have a say in their societies and in their state structures. They wanted bread, sure, but they also wanted dignity. You cannot get dignity by having no voice in your society, and being directed by your state. If you do not build a State apparatus that is able to harness the dignity of the population, whatever good policies you have in mind will come to nothing. Socialism cannot be administered from above nor can it come in a hurry. We learn this from the examples of Tanzania and Afghanistan. Both Nyerere and the Afghan Communists saw that the principal matter is to draw people to their agenda, not to set in place the best policies. The confidence of the people must be earned, and people must be drawn into the decision-making and state-building processes. If they are alienated from the State, the entire project is liable to failure. Nasserism was the Arab franchise of the Third World Project. It suffered from all the problems I lay out in The Darker Nations. The arrival of Bolivarianism is in many ways a critique of the Third World Project’s demise and the rise of neo-liberal states in its place (in Venezuela, in Chile, in Argentina, in Bolivia). The Arab Spring is in line with that upsurge. PC: You have shown the importance of Qaddafi’s Revolution of 1969, and how it transformed the Libyan society. However, you also detail the insufficiency and degeneration of the transformation. What were the socio-political forces that the 1969 revolution and subsequent changes unleashed that contributed to the overthrow of Qaddafi, or is it simply that those who were ousted by the 1969 revolution, or those who were left out from power, led the current upsurge that displaced Qaddafi? VP: Qaddafi’s 1969 revolution was remarkable for the ease with which the Colonel’s coup took place. Not a shot was fired against it. The totality of the population, with the exception of the clique around King Idris, was with Qaddafi. I detail how for the first 15 years, Qaddafi followed a massive social policy of transferring assets to the people, and building up a modern state structure, including a national university system. This was a huge advance. But Qaddafi walked into an obvious contradiction: his regime did not diversify the Libyan economy out of dependence on sale of oil to the West, at the same time he made erratic political gestures against the West. Libya was punished by an oil embargo, which crippled the social welfare part of his regime. That led Qaddafi to a reassessment of his policies. Rather than move toward diversification (for which he now had little investible capital), he shifted to make an accommodation with the West. The Qaddafi of the 1980s onwards was in many ways the opposite of the earlier Qaddafi. I detail this story. It takes up the major portion of the book, showing how the class character of the Libyan regime shifts by the 1990s, for instance. PC: The Libyan winter changed the season for the Atlantic powers. According to you, for them, “Libya provided a unique opportunity”. How is that? You have stressed on the uniqueness of the Libyan situation, as the Atlantic powers always seemed ready to intervene there. But how do you see the recent developments regarding Syria? VP: Libya allowed for many things. First, it allowed the West to brush off their tainted relationship with Ben Ali of Tunisia and Mubarak of Egypt, not to speak of Qaddafi (it was Blair, Sarkozy and US Congressmen McCain and Lieberman who courted him in the 2000s). Second, it allowed the Saudis to enter Bahrain and crush that uprising. I show how the linkage between Libya and Bahrain works in my book. Third, it allowed NATO to become a force in North Africa, becoming the “mass base” of the Libyan Diasporic leaders, the neoliberals such as Jibril and el-Keib, to assert their position against those who had a genuine mass base, such as Belhaj (the political Islamists). This was the unique opportunity. On Syria the story is not complex. On February 18, 2012, I asked the Indian ambassador to the United Nations, Hardeep Singh Puri, why there was no appetite for a strong UN resolution on Syria. After all, the violence in Syria seemed to have already exceeded that in Libya. If the UN could pass Resolution 1973 (on Libya), why was it reticent to pass a similar resolution on Syria? Puri pointed his finger directly at the North Atlantic Treaty Organization states. They had exceeded the mandate of Resolution 1973, moving for regime change using immense violence. All attempts to find a peaceful solution were blocked. The African Union’s high-level panel was prevented from entering Libya as the NATO barrage began. Any UN resolution that was sharply worded and that was not explicitly against a humanitarian intervention would open the door to a NATO-style attack. That seems to be the fear. If there is a sense that NATO exceeded the mandate of 1973, I asked, would the UN now consider an evaluation of how it was used in the Libya war? Puri told me that Russia asked the UN Security Council to evaluate Resolution 1973, which means NATO action in Libya. NATO has blocked this. They are reticent to allow any open evaluation as a result of what they see as an exceeded mandate in Libya, and of course the question of civilian casualties (Human Rights Watch released a report on May 14 on civilian casualties by NATO that underlines this question). PC: While dealing with the attitudes of various international institutions and alliances towards the Arab revolts, you have analysed the BRICS’s position too. As you have shown in your brilliant book, The Darker Nations, there was a unity of purpose, at least initially, among the regimes that came with significant popular legitimacy that constituted the Third World. However, such unity of purpose seems absent behind the emergence of the BRICS and other international alliances among specific “third world” countries. Rather they are multi-level institutionalisation of opportunistic cooperation among competitive forces. How much do you think consistency, multipolarity and polycentricity that we demand from the BRICS are justified? Do you find in this demand an element of nostalgia for the Third World project, for statist anti-imperialism and non-alignment? VP: The full answer to your question will be found in a book that I am now finishing up, The Poorer Nations: A Possible History of the Global South (Verso and LeftWord). It tells the story of the emergence of the G7, the fight to establish a renewed South after the debt crisis, the emergence of the BRICS, and of a potential South from below. That book has an argument that is hinted at here and there in the Libya book, although the latter is not theoretical and so the argument is only as I say hinted at. The BRICS have afforded an opening, they have moved us out of the suffocation of the Washington Consensus and on unipolarity. They have not created ideological or institutional alternatives to the previous dispensation. That is why they seem to simply ask for entry for themselves rather than an exit from this system. Their ambitions are not great, largely because their ruling elites are wrapped up in neo-liberal ideology and they seek space for themselves alone. In this challenge, they have, as I say, dented the privileges of the North Atlantic. I see their move as simply this, nothing more. PC: You have succinctly shown throughout the book how neo-liberal forces are attempting internal coups in the ‘democracy movements’. When US diplomat David Mack complains about the Libyans not understanding the meaning of democracy –- that it is not about “housing, food, work and health”, but about elections and the rule of law, it seems the imperialist forces are trying hard to clinch the separation of the economic and the political which neo-liberal globalisation arguably seeks to achieve, thus reducing the political’s capacity to obstruct international capitalist interests. A section of the international left too stresses that the revolts are a step forward from the undemocratic past even if they are able to institutionalise only a few ‘democratic political’ rights. Don’t you think any such gradualism or limitation will be an eventual complete regression to neo-liberal counter-revolution, a betrayal of what you term the radical imaginations of the rebellion from below? VP: You raise the core point. Will the emergent regimes build a Chinese wall between the Economic and the Political? Will they allow the great sacrifices to provide modest electoral reforms, and not touch the base? It is of course the case that there will be elements within the new political actors that will want only this small advance. Others are not going to be satisfied with it. They tasted the feeling of revolution, and already want more. That is how we must account for the ongoing strikes in Egypt, Tunisia and Libya. These strikes are a portent of the greater social dreams than simply the right to vote. When Tripoli airport was seized in May 2012, those who took it wanted their social and economic wants at the centre of the regime’s concern, not simply the June elections. The latter are important, but not singular. Elections yes, but these do not define the desire for a voice. It is also true that the old guard will want to minimise both the democratic political and democratic economic openings. They will be backed by the US on the latter, because the US and the NATO states would like to reduce the victory to the political domain, and even there to manage the political so that the more radical Islamists are kept out of office. Moderate Islam will be allowed (we are back to Mahmood Mamdani’s “good Muslim, bad Muslim” formulation). If the rate of strikes intensifies, it is unlikely that the old guard and NATO states will get their way. As with South America, revolution moves from questions of inflation and livelihood to questions of democracy and back again to questions of food and fuel, jobs and cultural expression. Democracy cannot be sequestered to elections alone. It is a much wider concept. PC: It is clear that the left in the West is quite impressed by the Arab Spring. What do you think is its overall political impact in a movemental sense? VP: The Arab Spring provided a fillip out of hopelessness in the United States. There is no doubt that the Arab Spring inspired the Occupy movement. The idea of a manifestation, of taking up space in public, came to the streets of New York explicitly from Cairo. But these are all mutually reinforcing events. On a conjunctural level, these are all reactions to the contractions as a result of the Global Recession from 2007, and the Strike of the Bankers. No doubt that the movements in both the Arab lands and in southern Europe excited those in the North Atlantic to act against their own governments and their cousins in the banks. The first impact, therefore, is the end of the Left’s torpor. Where will this head, who knows? It has to be built upon, just as the North Africans are building on their revolts. They have not rested, making t-shirts of Tahrir Square and happy for the experience of the manifestations. Their demonstrations continue. That lesson, that revolts are permanent and endless, has not yet been fully grasped in the North Atlantic. It is the most important lesson. PC: What are the implications of changes in the Arab World for the Indian subcontinent? What lessons should the left in India draw in this regard? VP: The General Strike of the South is yet to come to India. There have been many protests from below, and of course the anti-Corruption development. But India is a complex story. The state allows some space for democratic action, which is to say that it has not fully closed off the electoral space from the people. It is not a one-party domain, where it is easy to say, “Mubarak must go”. In that way, India is similar to the US. Even though one regime might govern for decades (say, Reaganism in the US from 1981 to the present; or Rajiv Gandhiism in India from 1991 to the present), the changes in the actual ruler seems to imply democratic possibilities…. Manmohan Singh is honest, he is not Vajpayee, or Rao; Obama is well-spoken, he is not Bush. One of the tasks of the Left has to be to demonstrate that even though the governments change and prime ministers or presidents change, the regime remains intact, and it is in the character of the regime that the problems reside, not in the personalities of this or that leader. This is a very hard task. So much easier to personify the problem with Assad, for instance, than with Manmohan Singh. Like Egypt in the 2000s or even Chile in the 1990s and 2000s, there is a diverse Left in India. But unlike Egypt and Chile, the Left in India has not been forced to work together on campaigns. Unity of the Left, even in action, is very limited. Hostility among the Left forces is debilitating in the long run. In Egypt and Chile because of the state repression, the various factions of the Left had to work together. This meant that they forged close bonds despite the differences in their strategic and tactical outlook. These bonds, forged in action, meant that after the repression ended, there was a moment of time when the Left could build a unified approach to governance. The story is the same in Brazil, where despite the great limitation of the PT, the Workers’ Party, the Movement of the Landless and the Communist Party and so on, remain in fractious alliance. Their solidarity in action during the years of the dictatorship created a bedrock of unity, even as they disagree greatly over policy and style. Finally, the Arab Spring might create space for India to reassess its newfound alliances with Israel and the Gulf Arab states. Would India, the so-called largest democracy in the world, like to pledge its allegiance to a power (Israel) that flagrantly violates international laws in its occupation of the Palestinians and to a set of powers (Gulf Arabs) that believe that democracy is a poison that must be handled with a prophylaxis of repression? This alignment needs to be reconsidered at the very highest levels, and at the ground level. The way the US has tried to break India’s ties to Iran and reinforce its links with Saudi Arabia is illustrative. That is why it is essential, not marginal, to fight the idea of India becoming the “subordinate ally” of the United States. This is a central fight. To say that imperialism is not as important a battle as, say, food prices, is to miss the integral relationship between the political and economic domains, something that has been revived by the Arab Spring and the General Strike in the South. That is its nature, to renew the idea that there can be no economic reforms without a simultaneous general transformation of the political will.